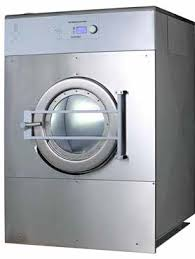 Wascomat’s EXSM Washers are designed for efficiency and superior wash results. Precision-engineering reduces downtime and improve machine reliability. •Heavy-duty construction for demanding applications. -Compass Pro® provides 5 liquid chemical signals. -Clarus Control® provides 4 liquid chemical signals, expandable to 8 signals. 65 lb and 80 lb models.